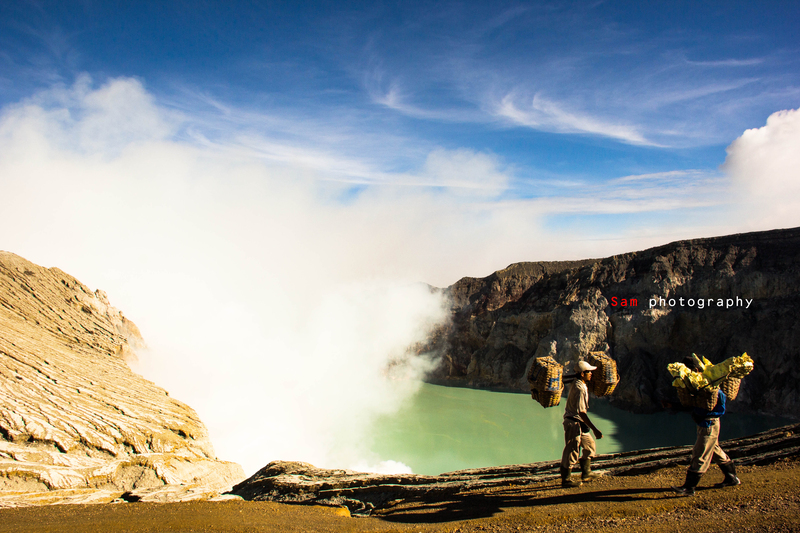 This 4 days and 3 nights tour is one of our most complete experience of East Java. 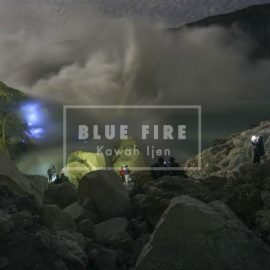 It will bring you to two of the most emblematic and breathe taking scenery : The mount Bromo and the Kawah Ijen with an option to Madakaripura Waterfall. But also, you have the opportunity to discover Sukamade beach, a very remote beach where you can watch turtles nesting. From the Sea of Sand of the Tender Caldera to the turquoise water and blue Fire of the Ijen Volcanic complex passing thought a lost beach that green turtles have chosen to lay their eggs, Ijen Volcano Tours will ensure you to live this experience in total security, with nothing to worry about except taking the best pictures ever and will give you a human insight of the life in eastern Java. You will be waken up at 03.00 o’clock in the morning, have a cup of coffee or tea before we leave for a short drive – 3 kilometres only – to Pananjakan. The last 1.5 kilometres you walk to the highest viewpoint in the area to see the sun rise. But, of course, whether you are able to see the sunrise depends on the weather conditions. 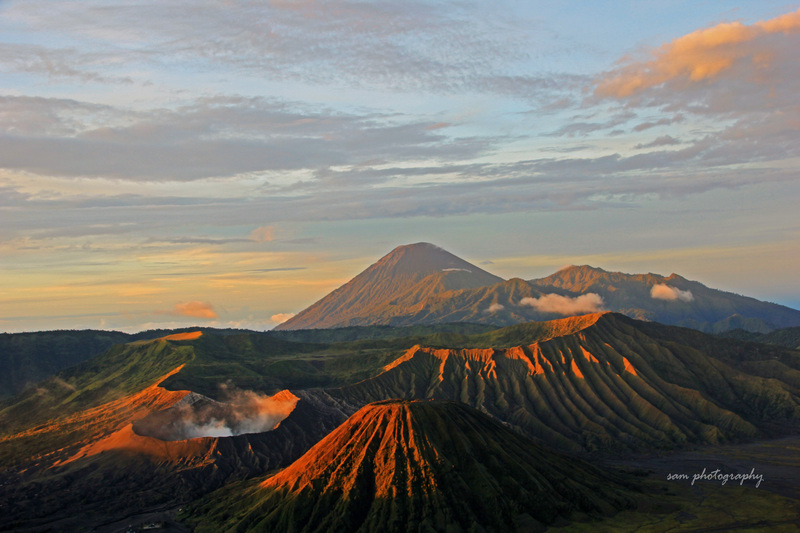 Then we will descend to the Sand Sea to see the crater of mount Bromo. Afterwards we go back to the hotel to have breakfast. After that we continue our trip and drive in around 4 hours to the Ijen area via Pasir Putih Beach, where we have lunch at a beach side restaurant. Here after, we drive for another 3 hours before we arrive at the village Sempol (Ijen area) to pass the night. Before the night falls, you have time to explore the surroundings. There is, among others, a hot spring with sulphur, an area where coffee seedlings are grown and a waterfall. Or, if you are tired you can spent some leisure time in the hotel . kilomtres of white sandy beaches on the Indian Ocean. While driving, we pass the extensive and famous plantations of East Java and the maountain rage of the Meru Betiri National Park. After we’ve arrived you still have time to visit the Sukamade beach to see sunrise, where you can witness local people. In the evening you will be guided by a ranger to find sea turtles that come ashore to lay their eggs. A female turtle lays more than one hundred eggs. She usually comes ashore around 19.30 and returns to the sea around midnight. You overnight in simple guest house in the Meru Betiri National Park.